Teeth Whitening | For a dazzling white smile, many of our patients favor teeth whitening cosmetic services to remove discolorations and stains. Our office provides powerful yet safe teeth whitening services that can get your teeth a few shades whiter with just one treatment. We provide two teeth whitening services for your cosmetic dentistry needs; Kor Whitening and Opalescence. Dental Veneers | Dental veneers are a high-quality thin porcelain shell, custom-made to fit over your natural teeth. If your teeth are chipped, broken, crooked or misaligned, dental veneers are an instant fix. Our team also uses dental veneers to cover cosmetic issues like discolored teeth that can’t be fixed with teeth whitening. We provide long-lasting, beautiful veneers that will give you a stunning smile! ORTHODONTIC OPTIONS | Six Month Smiles is an amazing new technology that can straighten your teeth in an average of six months! 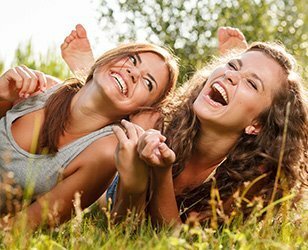 With brackets and wires that blend in with your teeth, the braces are less noticeable than traditional metal braces. Your treatment will include appointments for orthodontic adjustments moving you closer to your stunning new smile!. 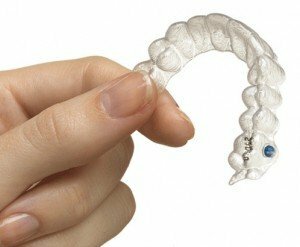 Invisalign braces have advanced in technology and technique for the last twenty years. With clear aligners, patients can continue to eat the foods they normally enjoy. The medical grade plastic aligner trays are virtually invisible to give you the confident smile you desire. Our team is ready to help you with your cosmetic dentistry needs. You can have the full, glowing smile you’ve been hoping for with Canyon Echo Dental. If you have questions about any of our cosmetic dentistry services or to schedule a consultation, call us today!